Happy Friday beauties! We made it! 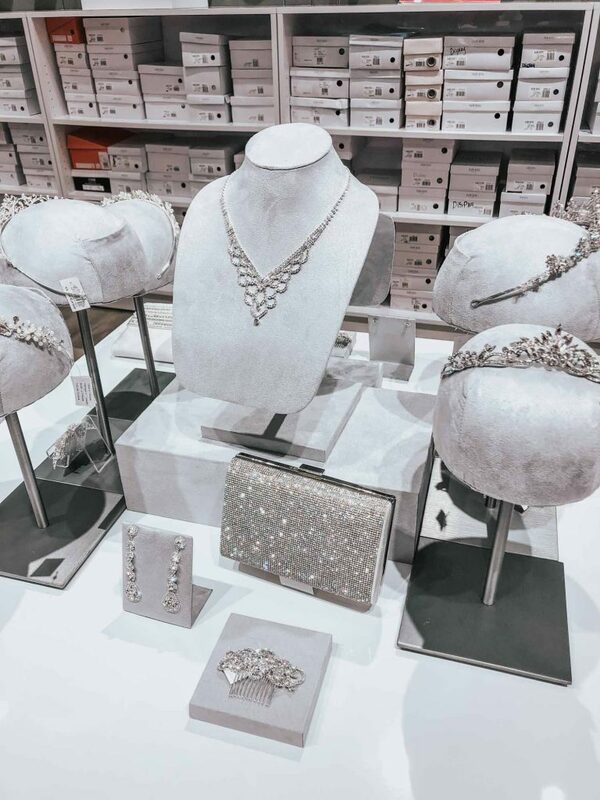 Today, I’m partnering with David’s Bridal to share must have bridal accessories under $100! I’ve rounded up a TON of selections for hair, jewelry, shoes & bags for any style and price you can think of. 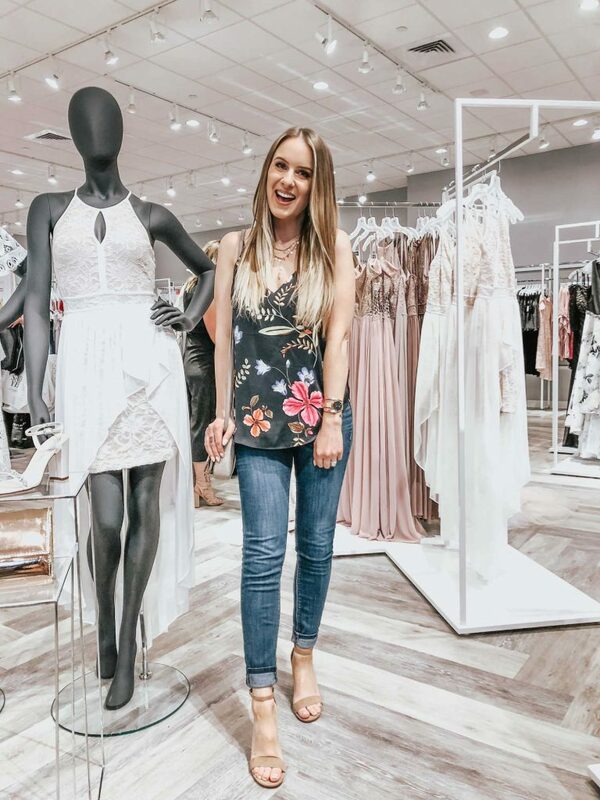 I’m also excited to share about my experience at the grand reopening of their Roseville store last night! 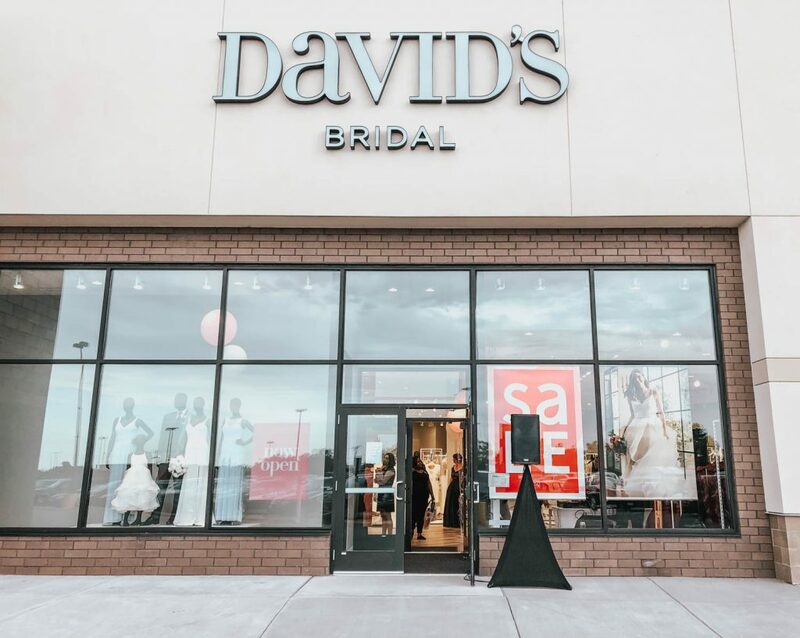 Why choose David’s Bridal for your big day? Because it’s easy and affordable. 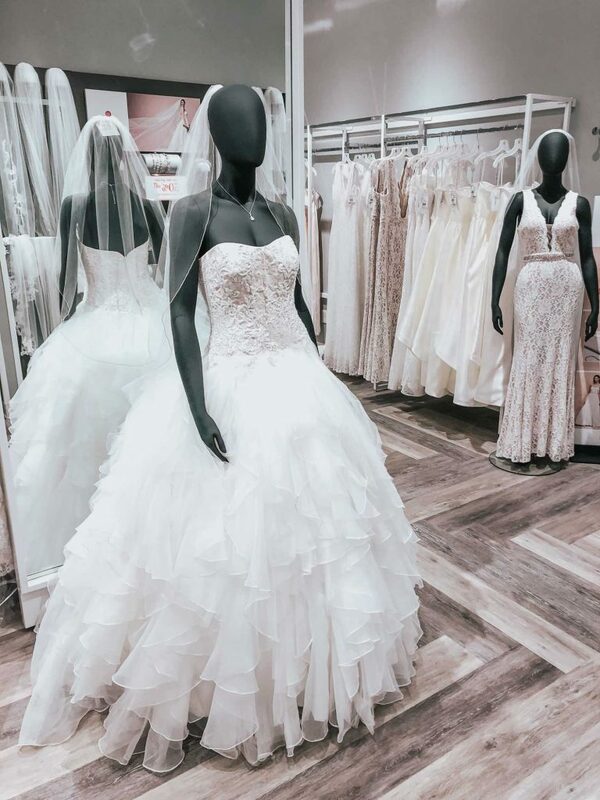 They have literally everything you need for your wedding! 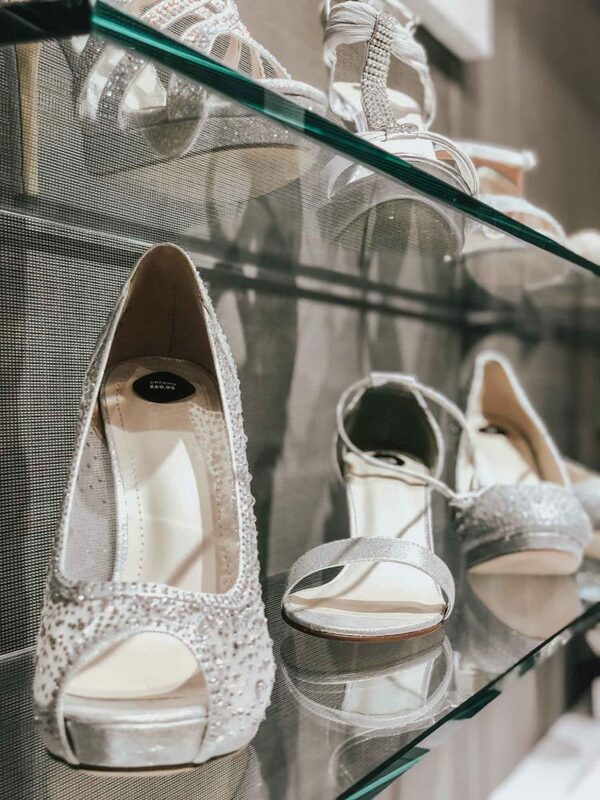 From the dress to shoes to undergarments and even things to take on your honeymoon – they have you covered from start to finish. And, they also have your entire bridal party covered including mother of the bride and groom! 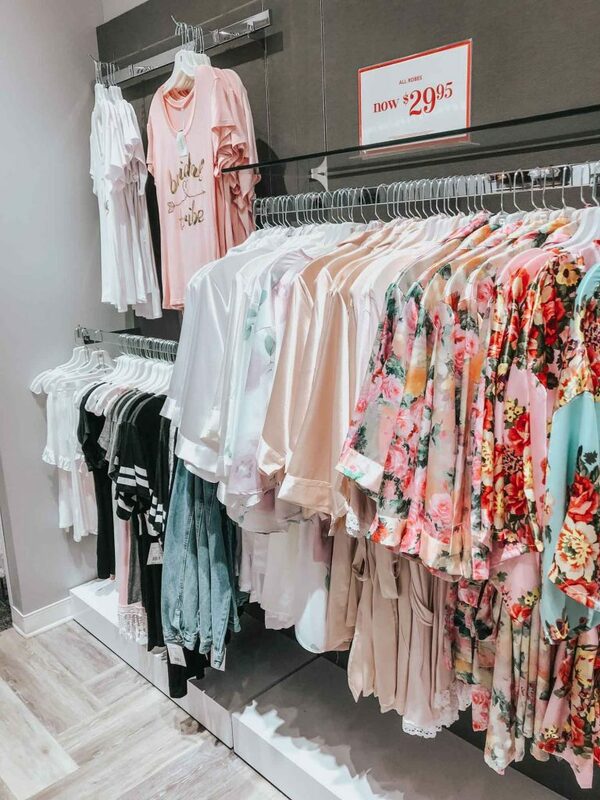 Plus, they have sizes for every woman ranging from petites to plus! With 300 locations in the US, Canada and UK there’s likely to be one near you! Last night, one of my best blogger friends Emerson and I headed to their new store to check it out. Although it was packed with people for their grand reopening, we were immediately greeted at the door. We took a bit to browse the store, which was huge! They had way more than I thought. I walked in expecting only bridesmaid dresses and wedding dresses. What I found was a store full of every kind of special occasion dress and accessory you could imagine! We even tried on some tiaras! 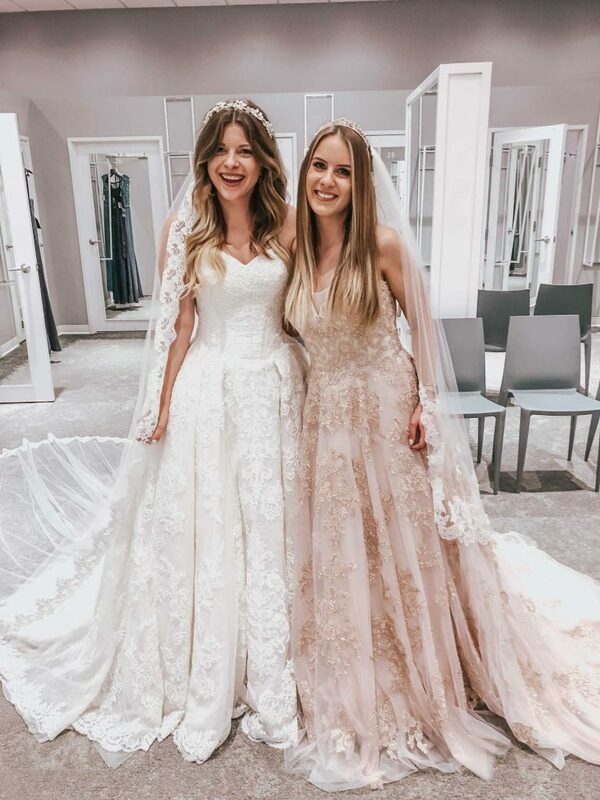 And, even though we made it clear neither of us was getting married, the associates were more than willing to help us find a special occasion dress to try on and even coaxed us into trying on wedding gowns just for fun! 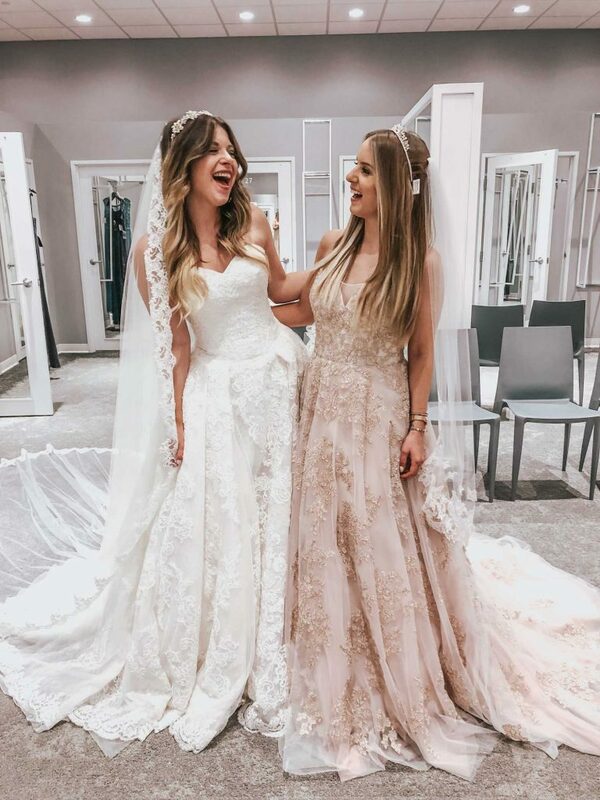 While we were in the dressing room, two different brides found their dresses! And, although it was special when I found my wedding dress, I didn’t get the standing ovation like the associates gave last night. They rang a bell and all the employees clapped! It was really special, and I wasn’t even a part of the weddings – lol! If you’re local, I highly suggest checking out their new store in Roseville! As one follower messaged me last night, it looks SO different from their old store and has so many new items, it’s worth checking out for any upcoming event you have. I even ordered a new clutch (featured below) to use for future events. And, if you go on or before 6/27/18 you can get 10% off your entire purchase! Now, enough gushing about the service and onto the products! I loved having a little clutch handy on my big day. It was perfect for storing the essentials and made my day less stressful! I even kept essential oils in it in case I got a headache (which I did have to use)! And, if you get a neutral style, you’ll likely be able to use it again in the future! I personally love this envelope clutch and picked one up for myself! 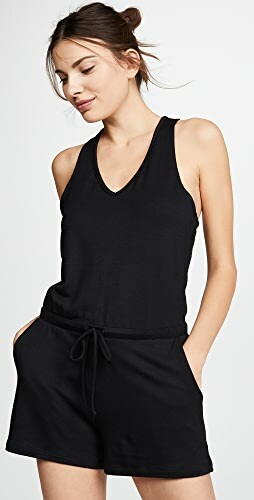 It’s such a steal at only $20 and is perfect for formal events or nights out! It also comes with a strap so you can wear it as a cross body too! 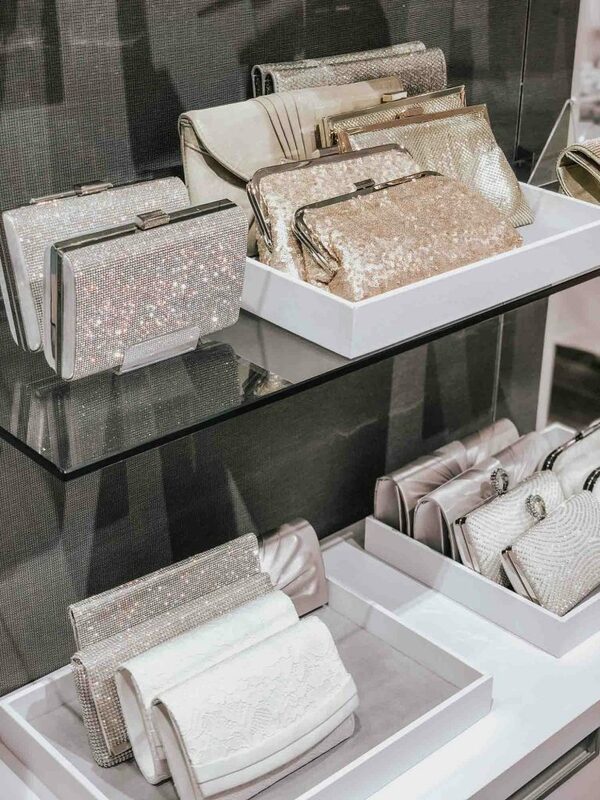 If you’re looking for something more formal but still budget friendly, I saw this clutch in person last night and loved it! It’s the prettiest rose gold color and would look perfect with a rose, ivory or white colored dress! This clutch is also budget friendly ($30) and comes in gold as well as silver. 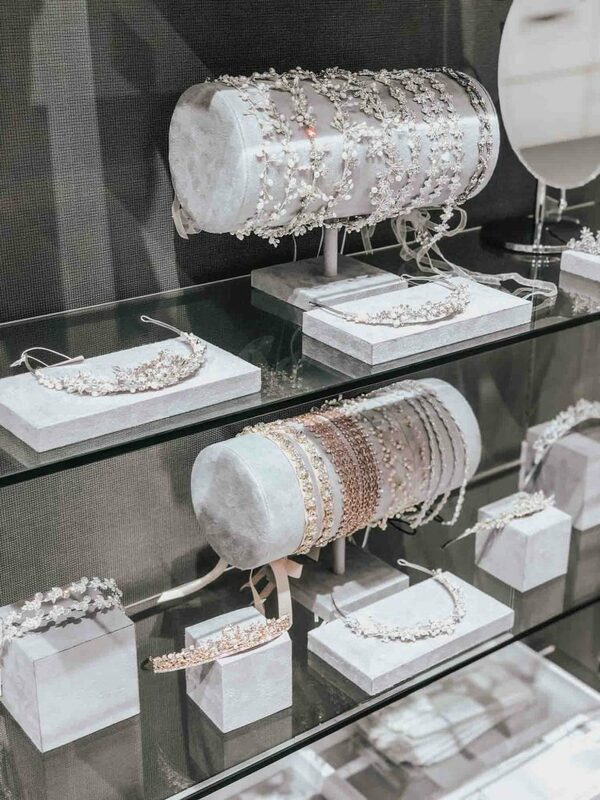 When it comes to bridal jewelry, less is more. You don’t want something too over the top or distracting! For a more traditional look, consider this pearl necklace and earring set. It would go with most dress styles as it’s so simple and classic. This pearl bracelet would match it perfectly. If you’re going for something a bit more modern, this necklace and earring set is absolutely gorgeous! 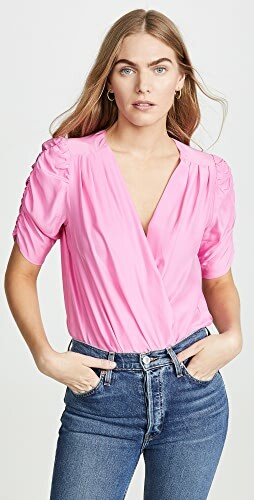 It would pair perfectly with most styles but would look especially great with a simple dress to really play up the jewelry! And, I love this bracelet with it! The vine style is so gorgeous and definitely something you could wear again! All jewelry here is under $30 and currently on sale BOGO 50% off! In lieu of a veil, you could consider hair accessories. They’re a fun, modern approach to styling your hair for the big day! 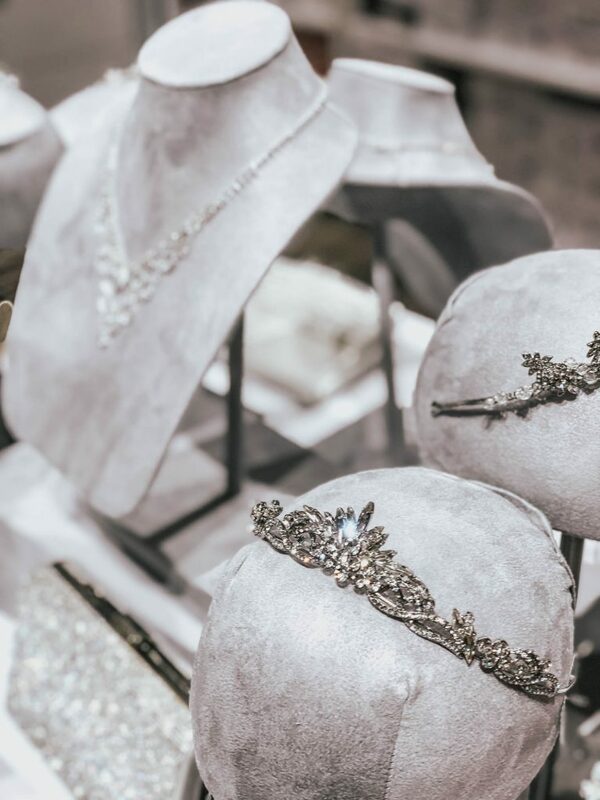 All of these are under $60 and all hair accessories (including veils) are also on a BOGO 50% off sale! This flower comb is absolutely gorgeous and would be perfect if you’re thinking about having your hair down. I also love this hair vine for a more boho style. 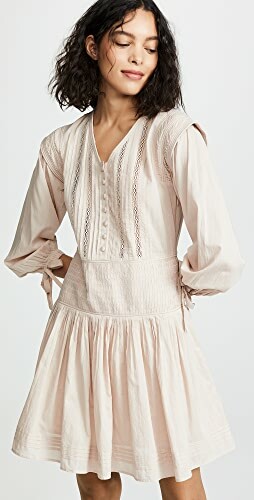 It would look very pretty paired with a lace dress. And, if you want something a bit simpler, this little pearl flower pin is the perfect solution! It’s dainty and would look so pretty with any style of wedding gown! My favorite section! 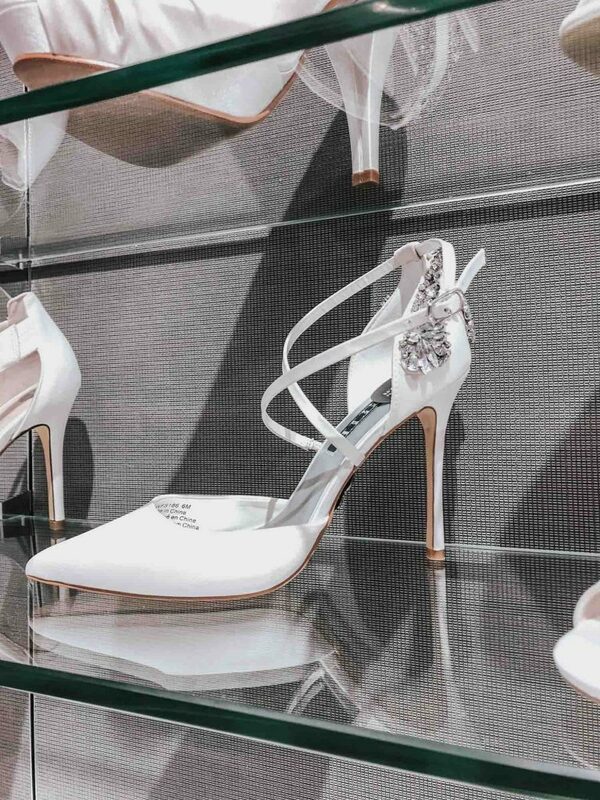 😉 David’s Bridal has SO many options for shoes you’re sure to find something you love! If you’re looking for something glam but traditional, these heels or these ones are for you! 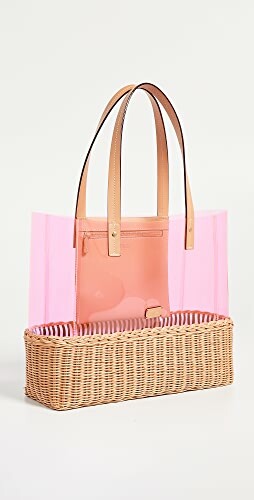 Both come in under $100 and are currently on sale too! I personally LOVE these and wore something similar on my wedding day. I saw them in the store last night, and they’re just as gorgeous in person as they are online! This pair is also very traditional and a style you’re sure to wear again! 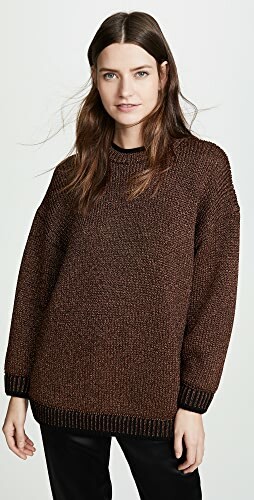 And, coming in under $30, they’re perfect for most every budget! If you want a lower heel, I would suggest these kitten heels or these sandals. I love that these kitten heels look like designer shoes without the hefty price tag! They’re also dyeable, so you can dye them to match your dress if you go with a non-traditional color! And, these sandals are so perfect if you are having a beach wedding (or just want to wear sandals on your big day, it is YOUR day after all!😋). They’re another pair you could easily repurpose after your wedding for other events or nights out too! 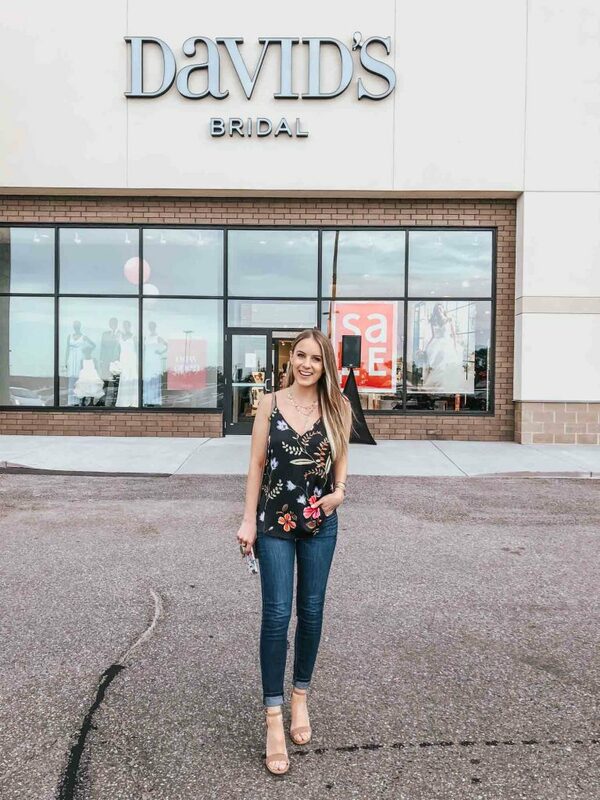 If you’re a bride to be, I HIGHLY encourage you check out David’s Bridal for all of your wedding day needs! For more wedding tips, be sure to check out the rest of my posts in the wedding series here! PS If you enjoyed this post, be sure to subscribe! Shop White Pumps Heels, Long Black Gowns, Black Pj Sets, Saddle Bags and more. Get this widget.